This post is sponsored by Adams Media. All opinions are my own. If you have high blood pressure, diabetes, or are overweight your doctor may have suggested that you go on the DASH (Dietary Approaches to Stop Hypertension) Diet. This is not a trendy, pseudo science diet. 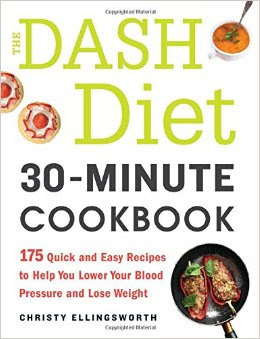 Studies have shown that the DASH diet can lower blood pressure in two weeks without medication. 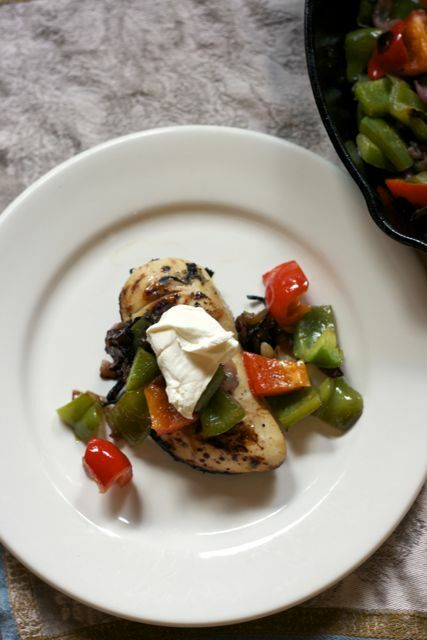 The Dash Diet 30-Minute Cookbook by Christy Ellingsworth provides fresh, healthy, low calorie flavorful recipes like this Grilled Tequila Chicken. These recipes are so tasty you won't miss the salt. The recipes in this cookbook will be enjoyed by the entire family, so you don't have to feel that anyone has to sacrifice good taste for you. Everyone in the family will be happy eating these dishes and seeing you get back to good health. 1) Measure the lime juice, tequila, garlic, cilantro, agave nectar, black pepper, cumin, and coriander into a mixing bowl and whisk well to combine. 2) Wash chicken breasts and pat dry. Add to mixture and turn several times to coat. Cover and refrigerate. Allow to marinate for at least 6 hours, preferably overnight. 3) Heat the grill. Once ready, cook chicken until no longer pink but still juicy and tender, about 10 minutes per side. 4) While chicken is grilling, heat the oil in a sauté pan over medium heat. Add the diced peppers and cook, stirring, for 5 minutes. Remove from heat. 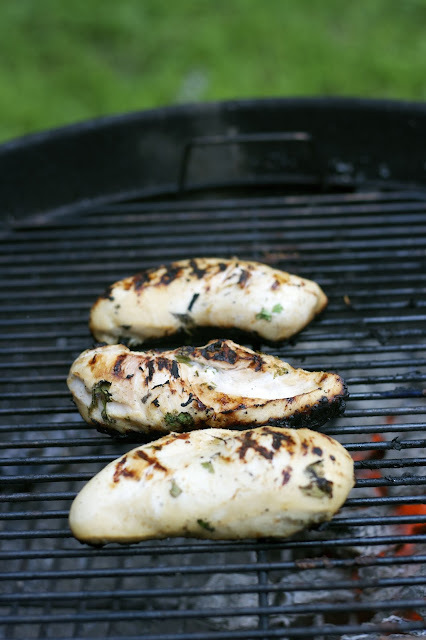 5) Remove chicken from grill. Plate each breast with 1/4 of the veggies and a dollop of sour cream. Serve immediately. 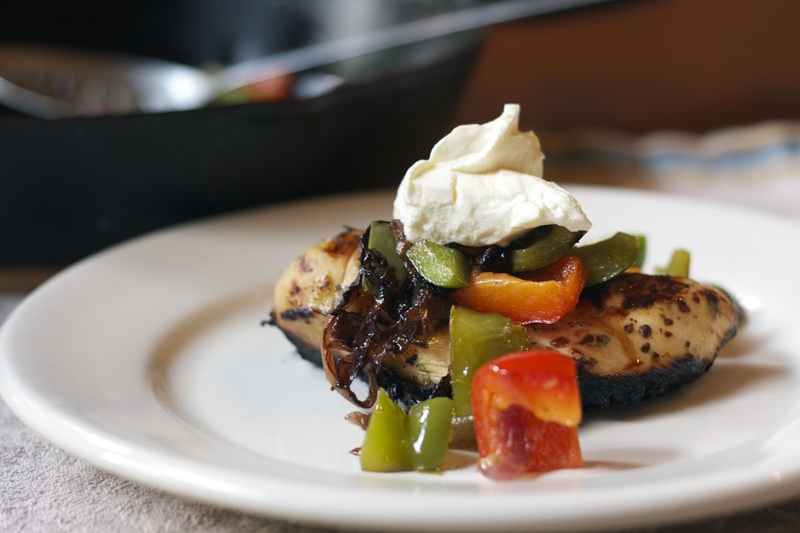 Your meal plans always look so good, and we would just love your Tequila Chicken, it looks awesome. Are your kids starting to school yet, or do you still have some summer left? Hope you are having a great week and thanks so much for sharing with Full Plate Thursday. Thanks Miz Helen you are a sweetheart. We usually start after Labor Day in NY, this year it is early Sept 2nd... though I know it isn't early for most of country. Thanks so much Anne. I am glad you enjoy it. Really flavorful. Thanks so much for featuring my cookbook, Anne! Glad you enjoyed the recipe!